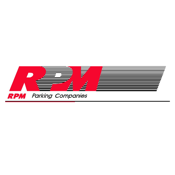 RPM Parking Companies began in 1987, with a single valet parking operation. From that first relationship, a Colorado company with local ownership has emerged and earned recognition as a premier full service parking operator. This growth was fostered by our commitment to service and our goal of “Exceeding Your Expectations”. Our philosophy has remained simple: we provide highly personalized and responsive service based on respect for your time and ideas. We combine that philosophy with experienced, knowledgeable people, a full array of flexible parking services, and our understanding of emerging technologies.